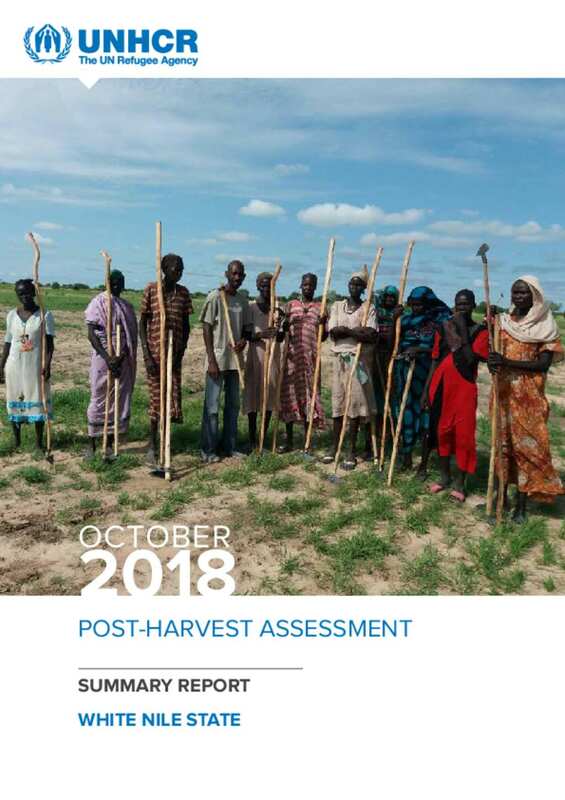 In October 2018, a livelihoods assessment was undertaken in White Nile state to assess the living conditions and livelihoods situation among the South Sudanese refugees as a means to identify measures required for strengthening self-reliance. A total of 205 individual questionnaires and 10 focus group discussions (FGD) were undertaken in Umsangor, Dabat bosin, Alredis1, Alredis2, Jory and Khor-alwaral through semi structured questionnaire. The sample was from a total of 29,581 refugee participants. The selected sites represented the different ethnic groups (Nuer and Shuluk) of the refugee population alltogether a reasonable sample of the refugees that participated in the harvesting activity. The data collected was analysed through SPSS and excel.